Siobhán has been a community worker and social justice activist for many years. Her experience ranges from community and youth work, to national policy advocacy and campaigning. She has a particular interest in economic justice, women’s equality, anti-racism, and workers rights. 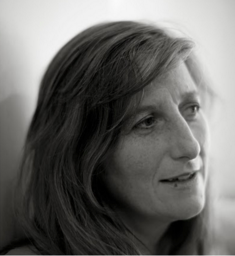 From 2002 to 2014, Siobhán was the Director of the Migrant Rights Centre Ireland. In 2012, Siobhán completed an M.A. in Applied Social Studies in NUI Maynooth. Prior to qualifying as a community and youth worker, she trained to be a nurse. In 2010 she was awarded the Captain Cathal Ryan Scholarship for Social Entrepreneurship. Emily joined the Uplift team as a Campaigner in June, 2016. She has a background in event management, business development and community work – having co-founded and directed the Spirit of Folk Festival, and worked in business development for an Irish tech start up. Emily returned to study Community and Youth Work in 2014, and completed placements in The Irish Refugee Council and St. Michael’s Estate Community Development Project. 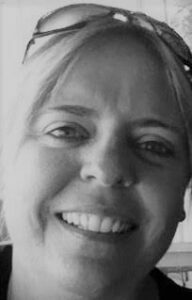 Clodagh is a digital campaigner & organiser from Sydney, Australia. Before moving to Dublin in June 2017, she campaigned on anti coal, climate change, and refugee justice issues. She brings to the team her skills in events coordination, network organising, digital communications, and non-violent direct action. 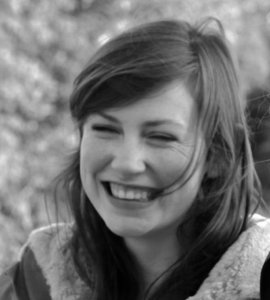 Clodagh is also a lasagne enthusiast, and amateur Irish trad flute player. She is also Uplift’s Data Protection Officer. David joined the Uplift team as a tech campaigner in April 2018. With over 5 years experience in the software industry, he understands the potential to connect and amplify citizen activists. David’s main areas of focus are climate change and the environment. David brings skills in software development, facilitation and decentralized organizing to the team, along with an ability to juggle and a love for cycling. Alex has volunteered for Uplift’s Member Support Team since December 2016. Alex is a mother of three and her background is in digital marketing, PR and event management. Alex grew up in Kenya where she was involved in NGO work in healthcare and education. Since living in Ireland Alex has campaigned for the provision of services and medication for people with Cystic Fibrosis. Cas has a background in the public sector, leaving in 2011 to work and volunteer for several different charities. Cas is particularly interested in animal rights campaigning and had success with a campaign via 38 Degrees, which saw her petition attract nearly 140,000 signatures. Cas moved to Ireland from the UK last year and lives now in beautiful Donegal. Cian is an activist, technologist, and academic. He is a former technology director and campaigner for 38 Degrees, the UK’s largest people-powered campaigning movement. There, he successfully campaigned to halt the privatisation of swathes of England’s woodlands, took on the big energy companies and their big profiteering. Previously, he worked in the area of climate change campaigning and spent a number of years in broadcast television. 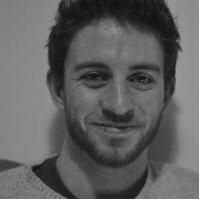 Cian researches and teaches at the University of Sussex, in Brighton, England. Edel McGinley is the current Director of the Migrant Rights Centre Ireland. 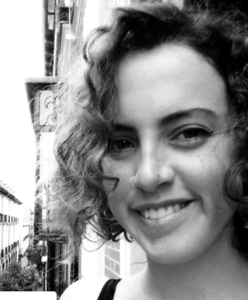 Prior to taking up this role, she coordinated MRCI’s Justice for the Undocumented campaign. She previously coordinated the Domestic Workers Action Group, forced labour and trafficking work. Before joining MRCI, Edel worked in various social care and youth work positions. Internationally, she has worked with domestic workers and children in forced labour, in Peru. She holds an M.A. in Globalisation, a postgraduate degree in Digital Media Technology, a B.A. in Applied Social Studies, and a Diploma in Youth and Community Work. 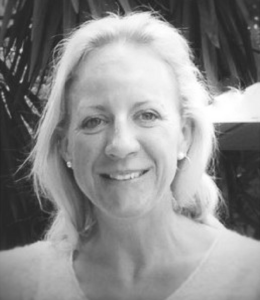 Based in Northern Ireland Nicola has extensive human rights experience across civil and political, and economic, social and cultural rights, and spanning work in an academic setting, an international body and an NGO. A founder staff member of Participation and the Practice of Rights organisation in Northern Ireland she co-developed PPR’s innovative Human Rights Based Approach which enables people directly affected by lack of socio-economic rights to make change on the ground. In November 2012, PPR’s work was profiled by the UN Office of the High Commission for Human Rights as a best practice example of “how communities can use indicators to claim their rights”. In January 2013, PPR’s work was described by Mary Robinson, former UN High Commissioner for Human Rights, as “the way human rights work should be, but isn’t, done”. Hannah was founding campaigns director of 38 Degrees UK’s largest people powered campaign movement which during her time went from launch to over 1.5m members throughout the UK. As well as building an agile and quick moving office team, she led successful campaigns on forest privatisation, immigration, social services and many more. Recently Hannah was on secondment with Australian campaign group GetUp! and South African organisation Amandla. She currently works part time with Sum of Us as a campaigner and the remainder of her time she trains campaigners in the UK and globally. She has worked for leading UK think tank, Demos and has spent time in youth organisations. Bruce is a fundraising manager and consultant with over 30 years of experience in direct marketing for NGOs. He is very driven by results and learning from analysis and adaptation from other markets and enjoys working for causes such as international development, peace, human rights and the environment. He brought together a consortium of charities to create The Good Form, the Irish Charities Taxback campaign. Bruce is also a keen mountain-hiker and have, in a voluntary capacity, completed fundraising challenges such as Amnesty Trek Scotland, Oxfam Trailtrekker, Barretstown Dublin Mountains Challenge and Dublin & Wicklow Mountain Rescue Team’s Walk The Line. Jon has been involved in campaigning, fundraising and marketing for the last 13 years. He is one of the world’s top digital fundraising and campaigning experts, having honed his craft in digital-first organisations. He’s passionate about sharing his knowledge with as many people as possible to raise standards in the nonprofit sector to increase our impact. Jon has a true global outlook, having won campaigns and raised tens of millions of Euros in nearly every country in the world for human rights, healthcare, advocacy and campaigning, education, hospitals, and community organisations. He currently lives in London, UK, via New Zealand and Canada.